A treaty gave Port-Royal to Scotland in 1621. The Scottish people gave Nova Scotia its flag, coat of arms and name which is Latin for "New Scotland". They built the first fort in the area in 1629 (where Fort Anne is today). A treaty gave the land back to France in 1632. The area was also known as Acadia, and Port-Royal became the Birthplace of the Acadian culture when French people began settling here in 1636. They later became known as the Acadians. During the 150 year struggle for control of the continent, the area changed hands between the French and English seven times. It is the most fought-over land in Canadian history. 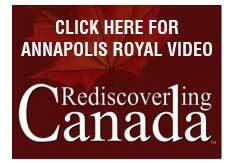 Port-Royal was renamed Annapolis Royal in 1710 after Queen Anne when the British captured it for the final time. As seat of government for both the French and British regimes, the area served as capital until Halifax was started in 1749. In 1755, Annapolis Royl was the site of the second largest deportation with 1664 Acadian deported from its shores. "World Most Liveable Small Community"
Throughout the centuries it has been the site of many "firsts" in the country. 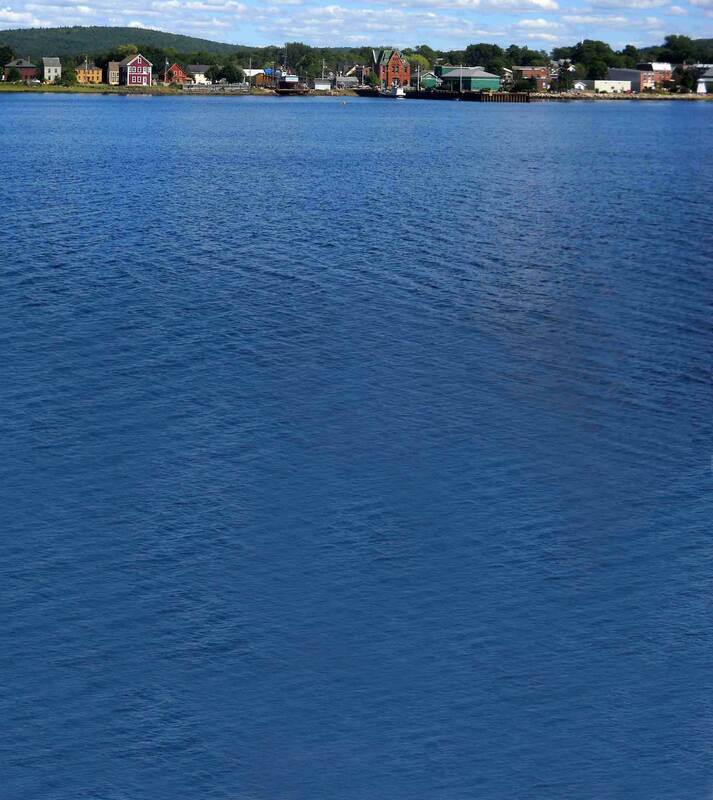 Today Annapolis Royal is the quietly dignified home of about 481 people. With over 130 registered heritage properties, it is one of the largest National Historic Districts in Canada. 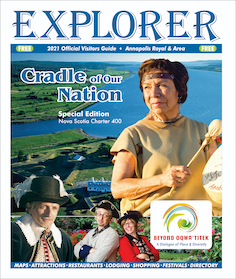 Named a Cultural Capital of Canada and Winner of “The World’s Most Liveable Small Community”, “Prince of Wales” and numerous “Communities in Bloom” awards, Annapolis Royal was featured in "This Old House" Magazine in 2012 as one of the sixty-one most vibrant neighborhoods in North America for one-of-a-kind, period houses. The Town was recently featured in the March 17, 2014 issue of MacLean's Magazine as one of the "10 Places You've Got to See" in Canada in 2014. Annapolis Royal was also the recipient of CBC Maritime's prestigious 2012 Cultureville Award in recognition of its vibrant arts community, culture and heritage. Festivals and Events, National Historic sites, award-winning tours, King's Theatre, interesting museums, colourful art galleries, and ecotourism adventures galore offer many entertainment options. Unique waterfront shopping with its scenic boardwalk, delicious dining and gracious accommodations await you. 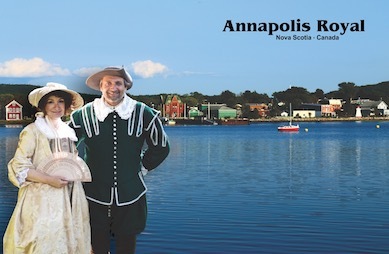 From the Farmers Market, Fort Anne NHS, boat haul-up and world-famous Bay of Fundy, to the Historic Gardens, North America's only Tidal Power Plant, Upper Clements Park and the Port-Royal Habitation, the historic, scenic, fun Annapolis Royal Area makes the perfect vacation destination. 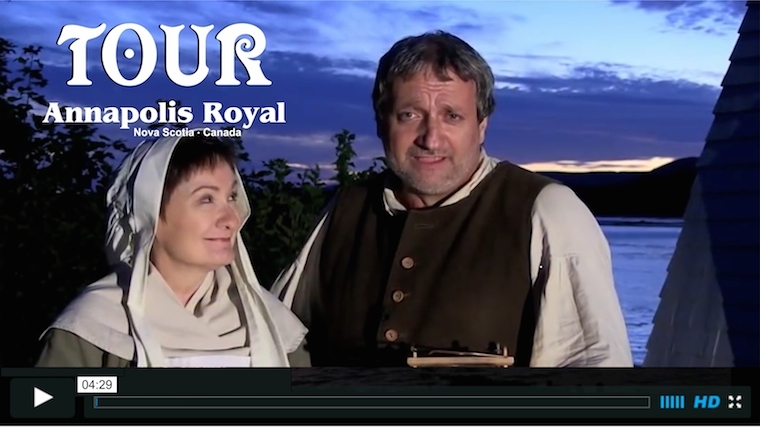 Come "Stroll Through the Centuries," and Explore Annapolis Royal. You'll be glad you did!